The Rebellion brewery tour nights are a great relaxed, informal way to come and visit the brewery and try all our beers, whilst listening to a brewery talk or trying our great BBQ. 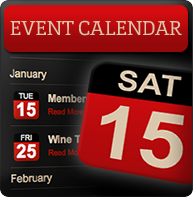 See our event calendar for this years dates..
Members' Night - 2nd Tuesday of every month. Free for members + 2 guests. Doors open at 7pm, beer flows until 9.30pm and please be off-site by 10pm. Public night gift card now availble to buy online - Click here to shop online!